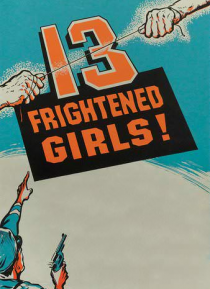 From director William Castle comes a story about young girls mixed up in the world of international espionage. The girls of a Swiss boarding school have one thing in common - they are all daughters of diplomats. One in particular, Candace, finds out that she has a knack for espionage, and starts snooping around amongst the adults. When Candace finds a diplomat murdered, she gets herself into a web… of intrigue and danger, and she must use her girlish wiles to escape from dangerous spies.